Left to Right: Founder of ‘World Outside My Shoes’ Carl Wilkens; Illinois Holocaust Museum Director of Educational Outreach and Genocide Initiatives Kelley Szany; Holocaust Survivor Magda Brown, AU DHL, '13; and University Chaplain Jonathan Dean. On November 9 and 10, 1938, Jewish homes, stores and places of worship in Germany and Austria were destroyed by SA officers, also commonly known as storm troopers. This was only the beginning of the horrors that millions of Jews would experience in the years to come. On Friday, November 8, 2013, the Aurora University community gathered to mark the 75th anniversary of Kristallnacht, the night on which Nazi hatred against the Jews was unleashed in a wave of violent pogroms. A panel of expert witnesses assembled for the special presentation, ‘Remembering Kristallnacht,’ to ponder the challenges which this night of evil, and the Holocaust to which it gave rise, still pose. 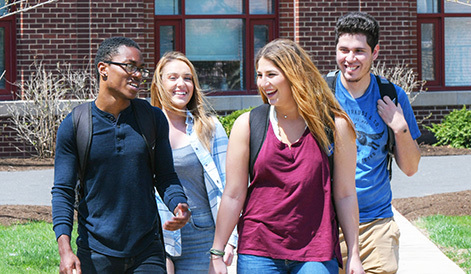 “We are always the richer for remembering the lives and examples of those who went before us, and the distilled wisdom of humanity, rising from both our triumphs and our appalling failures,” said University Chaplain Jonathan Dean. 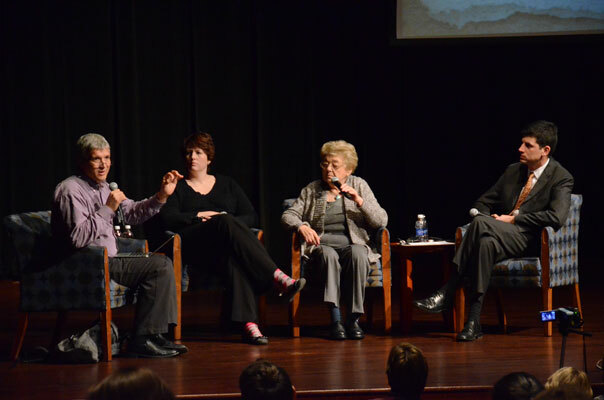 The panel included Holocaust Survivor Magda Brown, AU DHL ’13, Illinois Holocaust Museum Director of Educational Outreach and Genocide Initiatives Kelley Szany, and Founder of ‘World Outside My Shoes’ Carl Wilkens. They spent time discussing the causes of genocide and ways we can help prevent hatred, bullying and discrimination in our own time.